All Otis homes currently listed for sale in Otis as of 04/22/2019 are shown below. You can change the search criteria at any time by pressing the 'Change Search' button below. If you have any questions or you would like more information about any Otis homes for sale or other Otis real estate, please contact us and one of our knowledgeable Otis REALTORS® would be pleased to assist you. "Green Acres is the place to be if you love horses & coastline living! Unparalleled location next to Lincoln City outlets, dining,tourism and sand.Sanctuary on over 62 acres of pasture and riding trails. Amenities include 40 matted stalls and plenty of turnouts. Indoor arena equipped with water and sound system for year round riding, outdoor arena and round pen. Comfortable 3bd, 2.1bath home plus manufactured. Multitude of possibilities"
"OCEANVIEW SECLUDED SETTING. Coexist with majestic elk in a nature preserve in this rare Cascade Head Ranch home. Huge windows give front row seats to herds of elkdeer & grazing on lush, creekfront 3/4 acre at end of long private drive. 4+ bdrms 3 bathrooms for large family gatherings. Designed/built by Ned Westover in classic midcentury NW Contemp style. Separate studio.Boat launch, heated pool, River House. 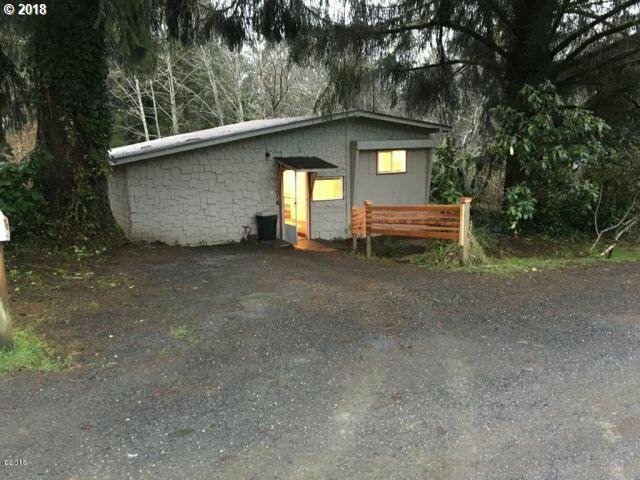 Nearby Sitka Center"
"Immaculate home nestled on a Nature Reserve on Cascade Head with amazing bay & river views! Only 5 mins from Sitka Center! Spacious floor plan & vaulted ceilings, large windows & skylights throughout! 3 bedrooms, 2 baths, Open concept kitchen w/ island. Sunken dining room with tile floor, wall of windows & door to back deck! Upper level family/media room with amazing views/setting. Don't miss this!!" "Breathtaking retreat overlooking river - an acre of heaven! 4 Bed, 2 bath, Airbnb possibility. Pristine inside and out. Minutes to Lincoln City. Sip coffee or fish on your deck and watch wildlife. Shop with electricity included. **Professional photos to comeOpen house 3-24.11 till 2Snacks by the river!" "First time on the market since home was custom built in 2002. Large 2264 sq ft, 2 bed/2 bath home plus 2 bonus rooms for an office, craft room, extra storage, possibilities are endless. Country living yet just a short drive to sandy beaches, shopping and dining. Just across the street from river access. Large covered carport with concrete driveway, storage shed, covered deck, fenced and beautifully landscaped yard including mature." 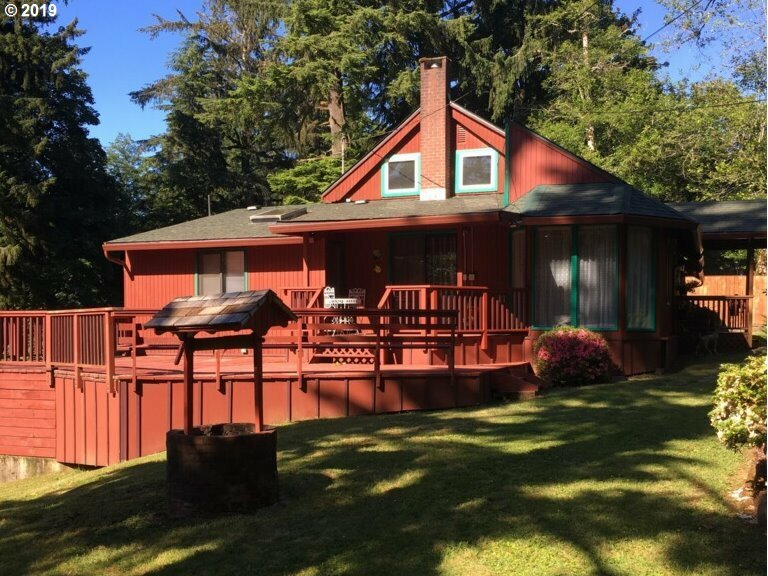 "Scenic setting and south facing over the salmon river and only minutes from Lincoln city. Needs some work & priced to sell! 3 taxlots with a Barn and 200 amps of power! Plenty of well water! Easy to show!Don't hesitate! Call us to view..."
"Well maintained light & bright open kitchen w/plenty of cabinet and counter space. Located on .31 acre double lot with fenced in yard and raised flower beds. Seller is in the process of installing beautiful hardwood floors. Seller will be putting on a BRAND NEW ROOF which will be included in the purchase price. Also Included in the price (If Buyer Chooses) a 504 sq ft trailer." "Affordable home on a treed lot with a private back yard and Tuff shed. Great fixer upper for first time home buyers or rental investment. Stack washer/dryer included."